Box Tops for Education is an easy way to earn money for St. Joseph School every time you shop for groceries. Simply clip the Box Tops for Education symbol from hundreds of participating General Mills and partnering brand products and send them in. Don’t wait too long to submit them though, because the symbols do have an expiration date. 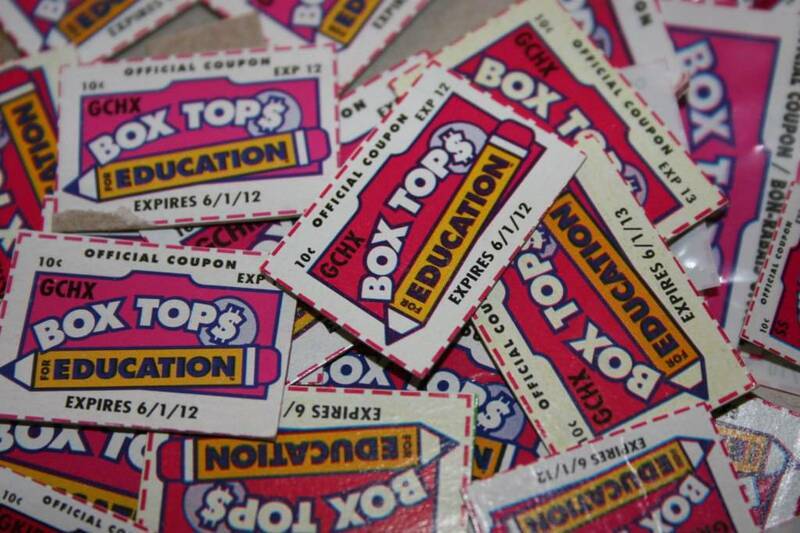 Our school earns 10 cents for each box top symbol that is redeemed. Participating brands include: Avery, Betty Crocker, Bisquick, Brita, Boise, Cheerios, Chex, Cottonelle, Fiber One, Green Giant, Hanes, Hefty, Hi-Liter, Juicy Juice, Kleenex, Land O’Lakes, Marks-A-Lot, Nature Valley, Nestle, Old El Paso, Pillsbury, Progresso, Scott, Viva, Welch’s, Yoplait, and Ziploc. Thank you all for your support – and keep on clipping!